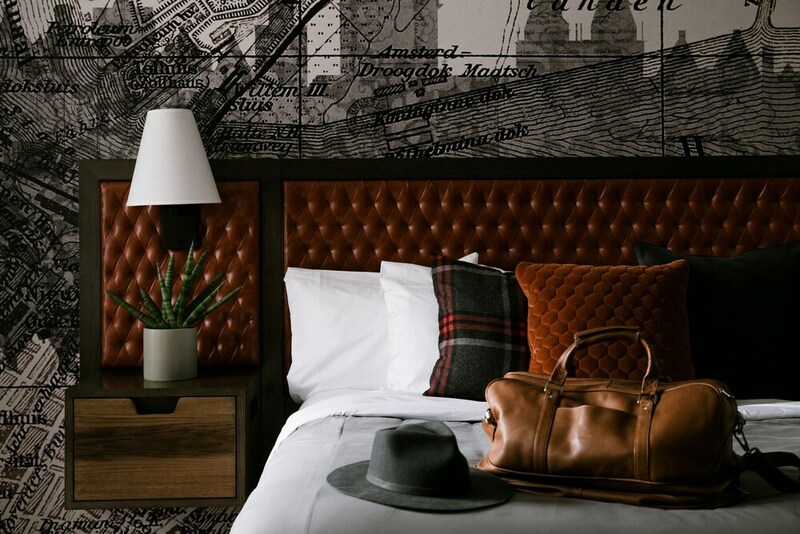 With a stay at Bobby Hotel, you'll be centrally located in Nashville, within a 10-minute walk of Nashville Public Library and Johnny Cash Museum. This 4-star hotel is 0.4 mi (0.7 km) from Bridgestone Arena and 0.5 mi (0.9 km) from Country Music Hall of Fame and Museum. Make yourself at home in one of the 144 air-conditioned rooms featuring minibars and flat-screen televisions. Complimentary wireless Internet access keeps you connected, and cable programming is available for your entertainment. Bathrooms have bathtubs or showers and complimentary toiletries. Conveniences include safes and desks, and housekeeping is provided daily. Take advantage of recreation opportunities including a 24-hour fitness center and a seasonal outdoor pool. Additional amenities at this hotel include complimentary wireless Internet access and concierge services. Grab a bite at Rooftop Lounge, one of the hotel's 4 restaurants, or stay in and take advantage of the 24-hour room service. Snacks are also available at the coffee shop/café. Relax with your favorite drink at the bar/lounge or the poolside bar. Cooked-to-order breakfasts are available daily for a fee. Bobby Hotel features a 24-hour fitness center and a seasonal outdoor pool. Dining is available at one of the hotel's 4 restaurants and guests can grab coffee at the coffee shop/café. Guests can unwind with a drink at one of the hotel's bars, which include a poolside bar and a bar/lounge. Public areas are equipped with complimentary wireless Internet access. This business-friendly hotel also offers spa services, tour/ticket assistance, and concierge services. Parking is available onsite for a surcharge. Bobby Hotel is a smoke-free property. Tavern at Bobby - This restaurant serves breakfast, lunch, and dinner. Open daily. Recreational amenities at the hotel include a 24-hour fitness center and a seasonal outdoor pool.